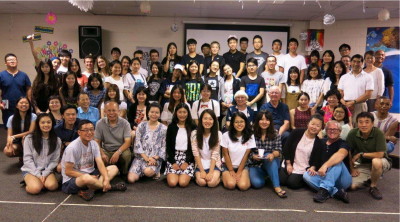 This is the 7th year that Peninsula Chinese Baptist Church (PCBC) doing this Summer Mission in Williamsburg. It is a 10-week mission that reaches out to Chinese undergraduate students from mainland China. These college students are visiting Williamsburg with a 3-month “Work and Travel” visa (J1). In early June Co-workers started scouting local hotels/motels early June to verify whether they are accepting these J1 students. We then visited and passed out our invitations, collected their names, addresses/room numbers, phone number, and WeChat information. We got together every Tuesday for ten weeks (June 21 to August 23) at the Youth Center of Walnut Hills Baptist Church. 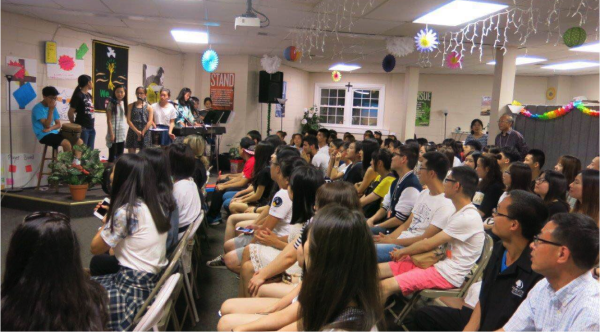 Each session consists of a Chinese dinner, worship singing/sharing, short Gospel message and small group discussion. Message topics include Knowing the true God, Knowing the Bible, Knowing the sin, Knowing Jesus, Knowing Christians, Knowing the Salvation and Becoming Christians. Most of the teaching was conducted by co-workers from PCBC. In addition, there were three invited guest speakers. About 40 co-workers from PCBC were actively engaged in this mission. We also had an English speaking group to share gospel with non-Chinese students who are Turkey, Thailand, and other countries. God is on the move among us in a powerful way. God provides for and sustains this ministry in every aspect of teaching, food, transportation, personal caring, and monetary offering. We had 23 students that accepted Jesus Christ as their personal savior and were baptized. After their return to China, we also help them connect with local churches so that they can continue to grow spiritually.